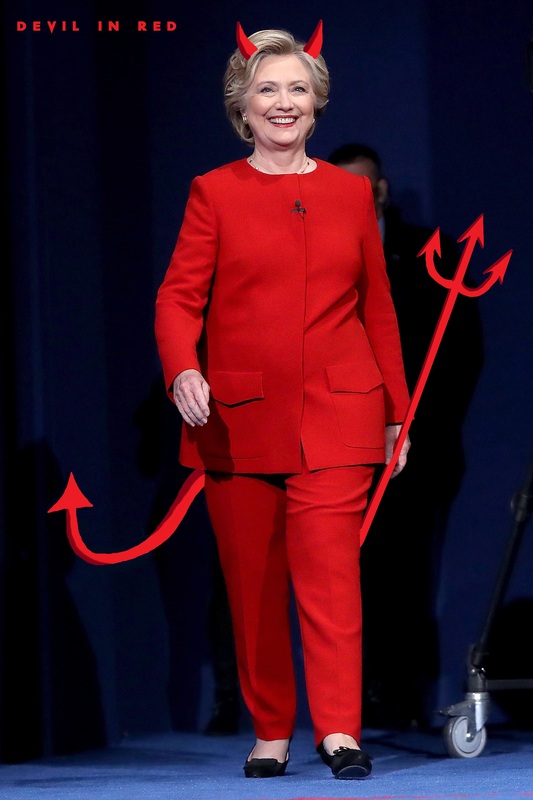 Beware of the Devil in Red. . HD Wallpaper and background images in the U.S. Republican Party club tagged: photo evil hillary clinton trump supporters republican party. This U.S. Republican Party fan art contains geschäftsanzug and business-anzug. There might also be gut gekleidete person, anzug, hosenanzug, pantsuit, anzug, and anzug der kleidung.